Let's face it, retirement planning is difficult. There are so many different pieces of the puzzle, and each one has it's own set of wrinkles that may have ramifications on the other pieces. Then--just when you think you pieced everything together--the government makes a change. That's what happened with Social Security last fall. The rules changed for who can make certain types of claims around spousal & suspended benefits. In passing the Bi-Partisan Budget Act of 2015, Congress created three different groups of entitlement beneficiaries for the purposes of claiming Social Security for a married couple. If you & your spouse are already Full Retirement Age according to SSA (or will be by April 30), the File and Suspend claiming strategy is still available to you. This allows one person to file (to open their account with SSA) & immediately suspend their benefit (to allow it to earn delayed retirement credits), while the other spouse files a "restricted application" for spousal benefits. This allows the other spouse to get 1/2 of the file-and-suspended spouse's Social Security Benefit, while their benefit also continues to earn delayed retirement credits. This strategy only works if both spouses are Full Retirement Age according to SSA, & will only be available if both spouses are Full Retirement Age by April 30. These elections must be made by April 30, 2016. If you aren't Full Retirement Age until after April 30, you may still have some options for optimizing your Social Security. If you were born prior to January 2nd, 1954, the ability to use the "restricted application" for spousal benefits is still in play. With this, one spouse can file for benefits & begin claiming. The other spouse can file the "restricted application" and begin claiming a spousal benefit, while their own benefit continues earning delayed retirement credits. Note that the ability for the first spouse to suspend their own benefit is now gone, but the "restricted application" could be a good way for a couple to maximize benefits for one of the spouses. When it comes to using a "restricted application" (i.e., claiming a spousal benefit to let your own benefit earn delayed retirement credits past Full Retirement Age), everyone else is out of luck. 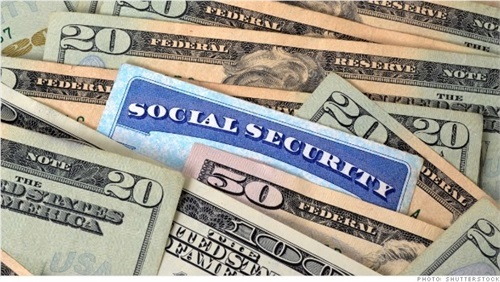 There are still some considerations when it comes to planning for claiming Social Security Benefits--especially if only certain members of a couple fall into these various claiming classes. Social Security strategy remains an integral part of the planning process around your transition to retirement. If you fall into any of the above categories and want to discuss this with us to get more clarity please do not hesitate to call.